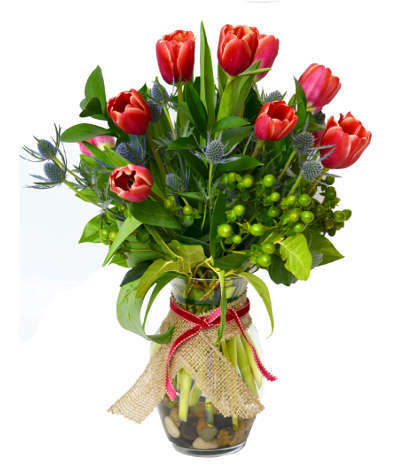 This elegant bouquet of ten tulips is arranged in a red-hot glass vase, featuring petal-like detailing. Color availability will vary! No guarantee the color shown will be available on a given day.